Sept. 28, 2018 - Canadian Forest Industries presents the latest scanner and optimizer technology on the market. Logmeter measurements are performed in real time. 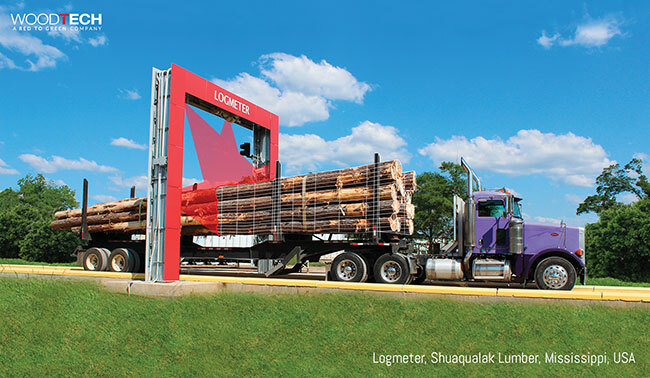 In less than two minutes, as the truck passes through the portal, the Logmeter system scans the truck and measures key variables such as volume, number of logs, diameter and length distributions, sweep, taper, etc. Logmeter includes an auditing system, which allows managers to analyze log data and images, identify trends, rank log suppliers, avoid fraud, among others. 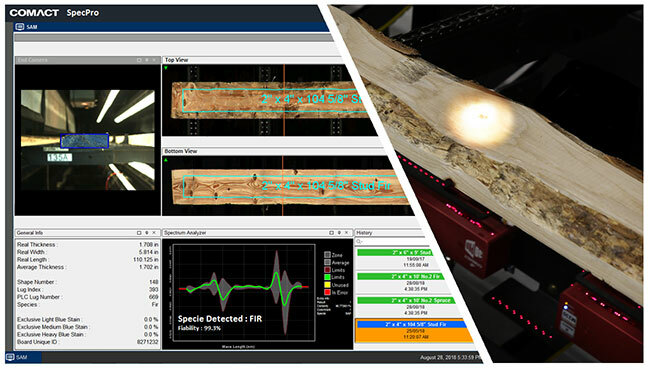 The impact of scanning, measuring and auditing every single log load is realized in operational and log cost savings and the improvement of log size and quality increasing lumber manufacturing efficiencies. BoardMasterNOVA-N is a non-turning auto-grading scanner. Complete analysis of boards is performed in 10 different directions including accurate defect detection and reliable optimization results. 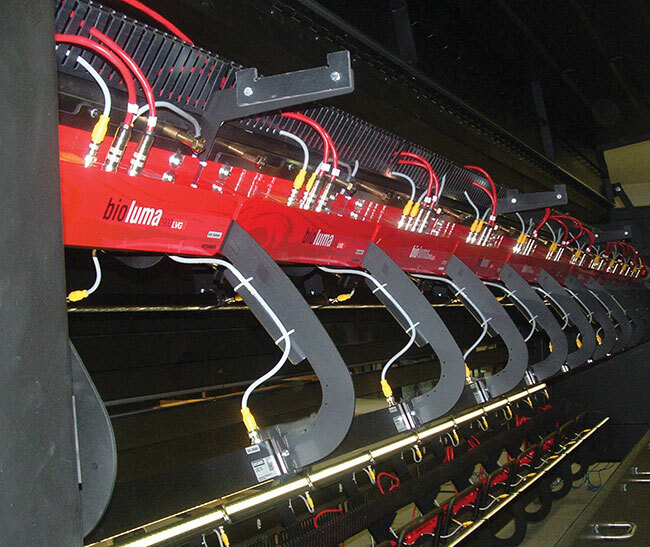 Based on required grades the system optimizes boards giving detailed instructions for trimming, cutting, ripping and sorting. BoardMasterNOVA-N has comprehensive graphical reporting tools for operators, production planners and top management. The FinScan grading systems can be easily installed in the existing or new grading lines. 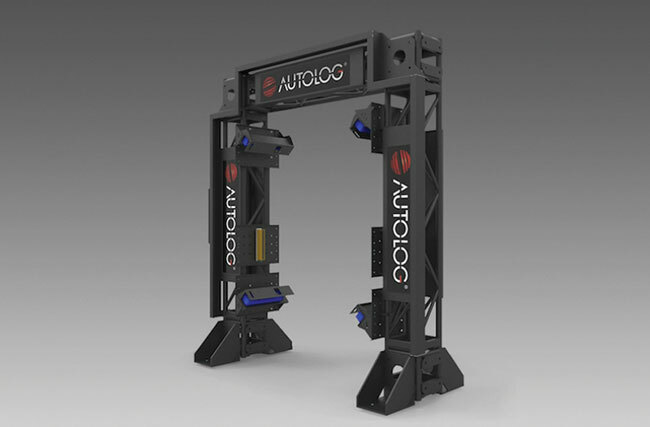 Autolog has unveiled its new log optimizer that will be available beginning 2019. The design of their new solution includes many features that respond to the growing demands within the industry. Here are just a few key examples of what it can offer: scan density of 0.5 inch at 650 feet/min. ; can replicate any curve sawing from downstream machine; live simulation which compares side-to-side solutions from the production optimizer and from the simulator using the same live production logs but different parameters; easy comparison tool to analyze multiple simulation results; can save as much as 20,000 logs per simulation lot; optimization advanced analysis tool, allowing user to test alternate solutions by forcing a sawing pattern or adding a sideboard. With customers worldwide Prologic+ has established its reputation when it comes to log and cant scanning. This module with extra cameras can detect the three anatomy by identifying the heartwood, sapwood and the pith. Having these sections of the log identified, different lumber grades can be assigned to a specific section of the log. The pith can also be removed by placing a special product to exclude it from A grade product. The next step is to detect rot and holes from the log ends and this feature will be available in spring 2019. SiCam’s canter twin or quad systems provides mills with live size, shape and face information giving the ability to stay on size, cut closer to target and respond to production variation immediately. RealTime software allows customers the ability to trend information over time, alarm when products are out of tolerance and report on information collected. SiCam can compare the data from its system with customer’s optimizers, providing RealTime feedback on machine centre performance. Analyzing size, face and optimizer data allows SiCam to implement its latest solution, Closed Loop Size Control. SiCam is able to make controlled automated adjustments to lines using this proven technology allowing mills to stay consistently on size. With more than 70,000 units sold world-wide since 2001, ScanMeg is a leader in scanners and measuring devices. 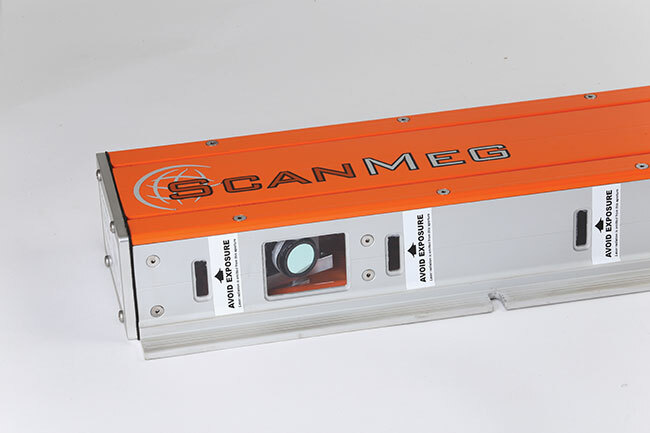 ScanMeg scanners are sought after products in the race for automation, reliability, speed, quality, productivity and quest for profitability. 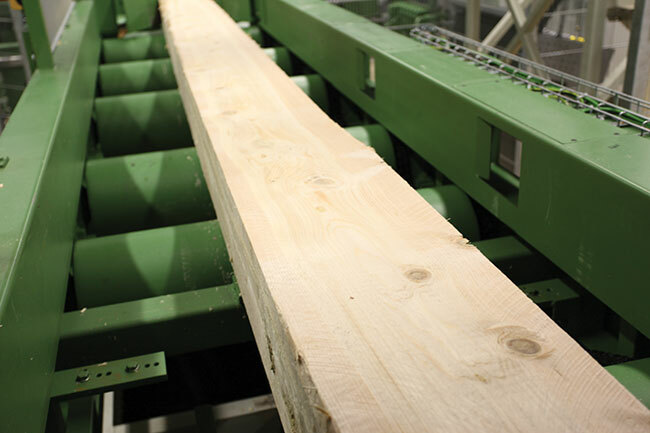 ScanMeg has been developing sensors that generate profits for sawmillers since its humble beginning. The company’s state-of-the-art measuring devices, designed for harsh sawmill environments, provide information on size (width, length, height), shape and position of logs, cants and boards in a fast, accurate, reliable and affordable way. 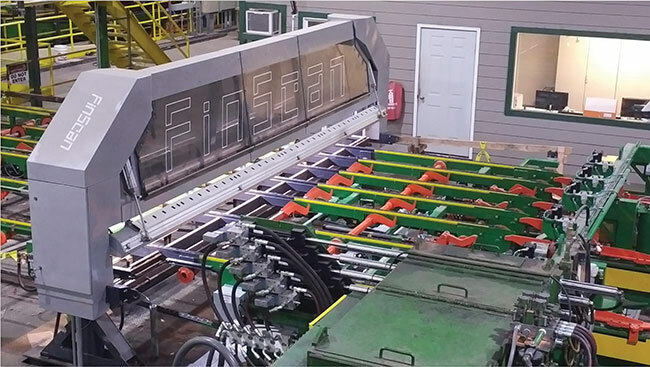 When automating a sawmill, ScanMeg’s sensors are crucial to a successful implementation. 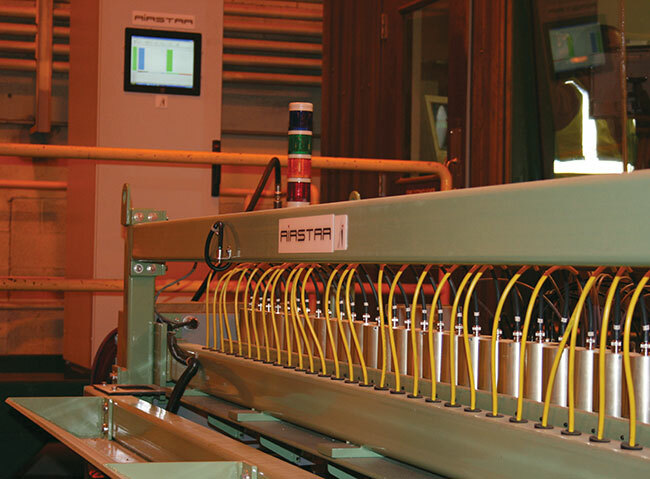 Airstar Inc. designs and manufactures quality control systems for the forestry product industry. The Airstar systems can test all forestry engineered wood products of any configuration, and species, including plywood, LVL, OSB, MDF, cross laminated timber, particle board, as well as many solid wood (hardwood and softwood). In order to achieve repeatability of defect detection the instrumentation needs a very high signal to noise ratio. Airstar’s signal/noise ratio is unmatched in the industry. The standard Airstar Blow Detectors penetrate products with the thickness of up to 200 mm and have superior defect resolution and sensitivity. Airstar Blow Detectors are virtually maintenance free, with remote access tuning, support and upgrades. Airstar systems incorporate a temperature compensation feature that allows testing of hot-pressed product with the same accuracy and repeatability. The Airstar Blow Detectors have configuration up to full coverage (32 channels). Several sensors in the Linck polygon scanner scan the contour of a curve sawn four-sided cant. The values are used to calculate the 3D-curve profile considering the feed speed. An essential feature of this scanner is that the cant movement is reliably filtered out during measuring. This even allows determining the exact curvature during a centering process. Existing sawlines, where comparable solutions couldn’t be realized due to lack of space, can be upgraded with this scanner. 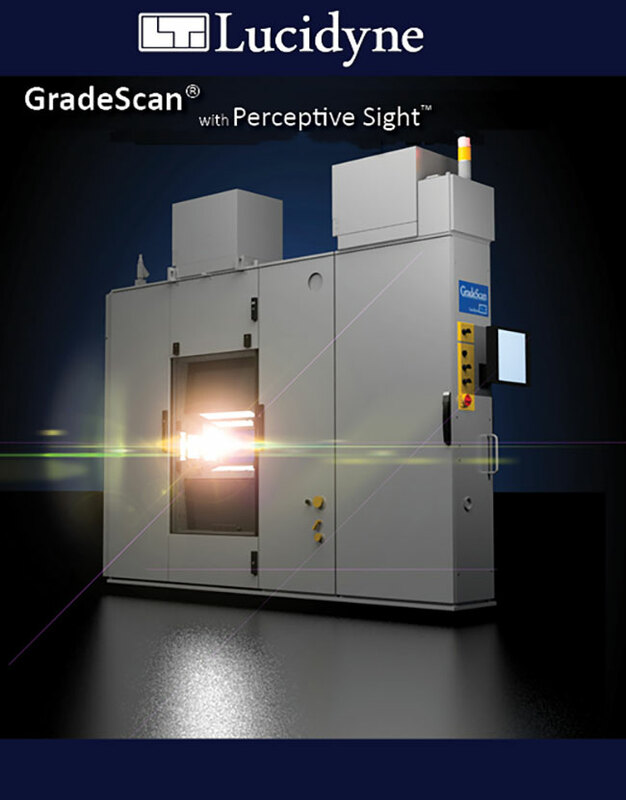 The sophisticated evaluating logic supplies an accurate 3D-curve profile of the cant. These data can be used for cant positioning in active curve sawing lines and for keeping track of the preceding processes. Wood species identification has always been a challenge for sawmills. To fill that need, Comact has presented its new SpecPro system, a breakthrough in the industry. Using both infrared spectroscopy and artificial intelligence, SpecPro is a non-contact, low maintenance species identification system. The system is very well on wood of all conditions (green or dry, rough or dressed, frozen or not). Currently in operation in Western and Eastern Canada, it has proven a great reliability over changing conditions. Among SpecPro’s benefits is drying optimization resulting in better products quality and drying times at the kiln. For over 30 years USNR has been a leader in scanning, optimization, and process controls technologies. Sensor technology is advancing at an exponential rate, and USNR remains on the fast-track ahead of the curve. USNR R&D has led to innovations like BioLuma, MillTrak, TriCam, LASAR, LPS series, and LPL sensors, producing some of the highest density scan data the industry has come to rely on. When a mill is challenged by the market, USNR has a solution for speed, accuracy and reliability. USNR’s technology is focused on value, recovery, throughput and reliability to help mills keep pace and effectively compete in a global marketplace. The Goldeneye 800 from Microtec represents lumber grading at its best. 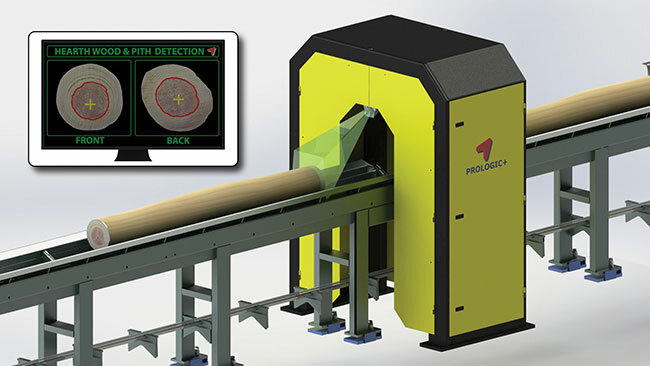 The fastest and most advanced lumber scanner Goldeneye 800 features three X-ray sources for precise pith detection and knot size calculation at feed speeds of up to 1,200 meters per minute (4000 feet/min). 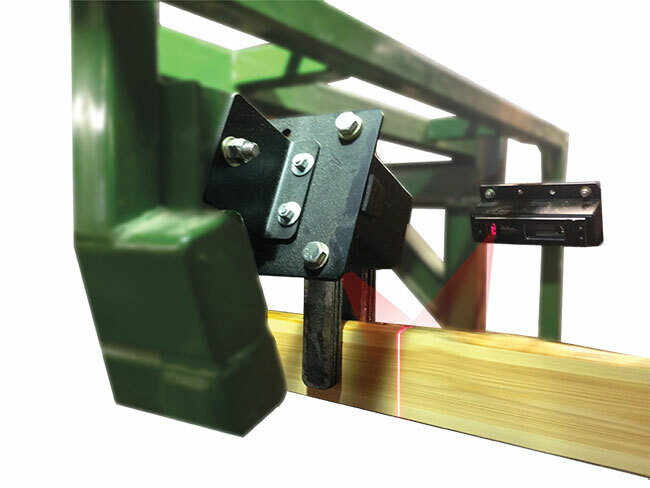 This Multi-Sensor Quality Scanner maximizes recovery for high-speed planer mills and manufacturers of construction lumber and high-speed applications. New Microtec Multi-View X-ray technology identifies internal wood defects, pith and accurately determines the knot displacement size inside lumber. This allows for ultra-fine split detection and unprecedented levels of accuracy in automated grading according to the National Grading Rule for Dimension Lumber. 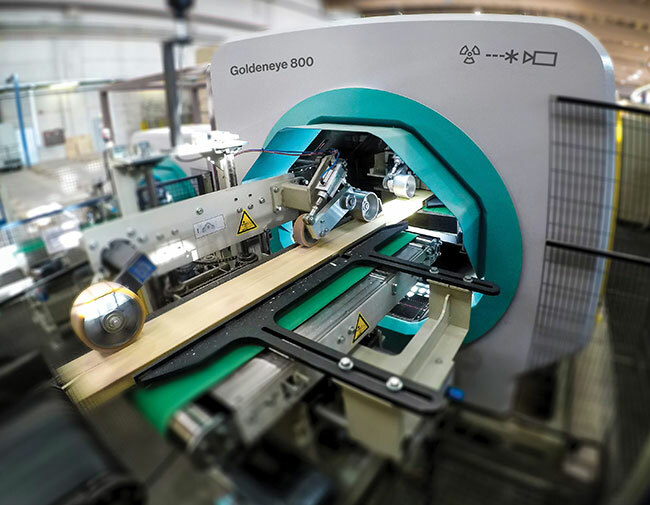 Goldeneye complies with those Standards and makes machine grading profitable, providing added value to a wide range of wood products. JoeScan is unveiling its latest 3D laser scanner at the TP&EE show in Portland. The new model JS-50 was developed with direct input from sawmill operators and optimization experts. It sports a feature set designed to make it the easiest-to-use scan head on the market today, perfect for log scanning and transverse trimmers and edgers. The binocular system has two cameras that prevent occlusion from flighted chains and other obstructions. A single cable interface with just one PoE cable provides power and data connection. Dovetail snap mount was designed inspired by U.S. military Picatinny rail mounts. The scan head installs in seconds, significantly reducing downtime. The JS-50 has best-in-class specs for the fastest scanning and highest resolution JoeScan yet. The JS-50 packs all this into a much smaller and lighter weight form factor than previous models.